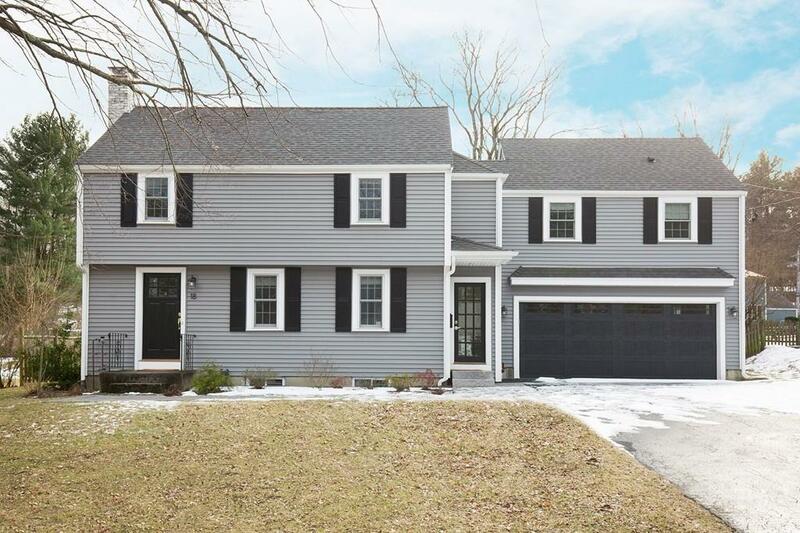 This Classic Colonial residence offering over 2,200 square feet of living space is well-sited on a level lot located in a premier location in Needham. Built in 1951 and tastefully renovated with today's modern amenities, this home offers an open floor plan and sun-filled rooms perfect for entertaining on any scale. The spacious kitchen complete with granite countertops, stainless steel appliances, and eating area opens to a beautiful living room with wood burning fireplace. The expansive family room with vaulted ceiling has french doors with direct exterior access to the rear patio and yard. The second floor boasts a large master suite with beautiful modern bath and custom closet. Three additional bedrooms, a large bath, and laundry room complete the second floor. Enjoy all that Needham has to offer including convenient access to schools, shopping, restaurants, and commuting routes. Listing courtesy of Robert Macleod of Engel & Volkers Wellesley. Listing provided courtesy of Robert Macleod of Engel & Volkers Wellesley.